How to make a complete iPhone backup before iOS 11.1 update. Keeping your Apple device software up to date is important not only because of all the cool new emojis we have been getting in the updates, but also because of all the security updates Apple has been making, most recently a Wi-Fi encryption vulnerability fix in iOS 11.1. However, there is always a risk of data loss when upgrading system software. Therefore, it's important to backup before upgrading your iPhone or iPad. 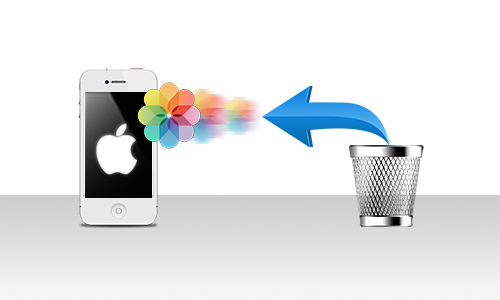 This article takes you through the steps on how to backup *everything* on your iOS device. Step One : Do a Data Backup in iTunes. First lets perform a backup of your iPhone configuration and other data. This will backup your iPhone settings and App data to your PC. Click the device icon in iTunes.. This will start the backup process. Depending on how many apps you have on your iPhone - this can take a little while. Once its finished you'll have a full backup of your iPhone configuration and App data. 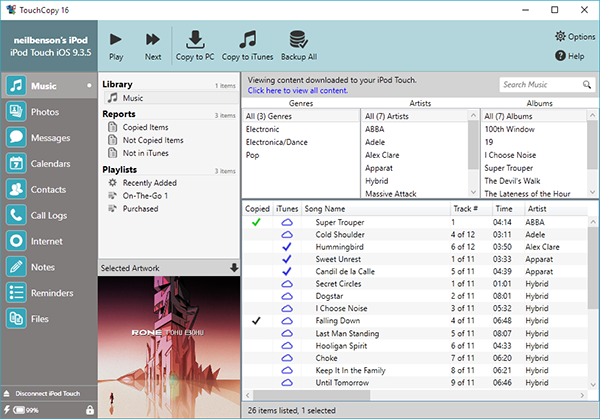 Step Two : Backup your Music and Playlists with TouchCopy. The iTunes backup is great but it has one glaring omission. The iTunes backup does not back up your music, Playlists or other audio / video content. To backup all of these items - we will use TouchCopy. Close iTunes and disconnect your iPhone, iPad or iPod Touch. Run TouchCopy by double clicking on the TouchCopy icon on your Desktop (PC Users) or double clicking the TouchCopy icon in your Applications folder (Mac Users). When TouchCopy asks you to do so - connect your iPhone, iPad or iPod Touch. 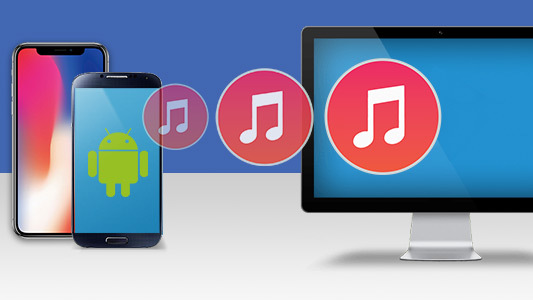 TouchCopy will detect your device and display the music library contained on it. TouchCopy will now copy over all your Music, Video, Ringtones, Voice Memos and Playlists to your iTunes library. The demonstration version of TouchCopy will copy 100 songs from your iPhone or iPad for free. If you have more than 100 items of music on your iPhone, purchase the full version of TouchCopy from the Wide Angle Software web store. Having backed up all your configuration, App data and Music and Video - your ready for the exciting part - upgrading your iPhone to the latest iOS 11 version! On your iPhone, iPad or iPod Touch open the Settings app. Your device will check with Apple for the correct update and give you the option to upgrade. Its always a good idea to backup your devices your mobile devices, especially when upgrading the operating system. In this article we have shown you how to backup your iOS device before updating your iOS software version. We have shown you how to backup data using iTunes and how to backup music with Playlists using TouchCopy. Transfer Music, Photos, Messages, Contacts and more from iPhone to your Computer!